Hola cómo están? 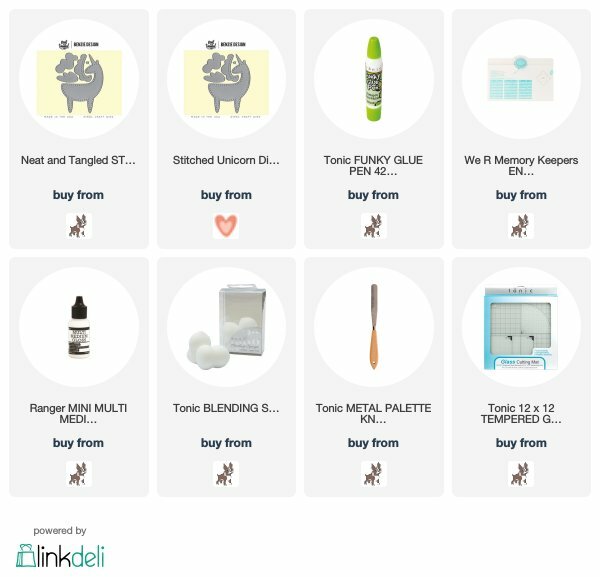 You probably have seen the cutest felted projects and handmade greeting cards made using the beautiful Stitched Unicorn Dies by Neat and Tangled and collaboration with Benzi Design. 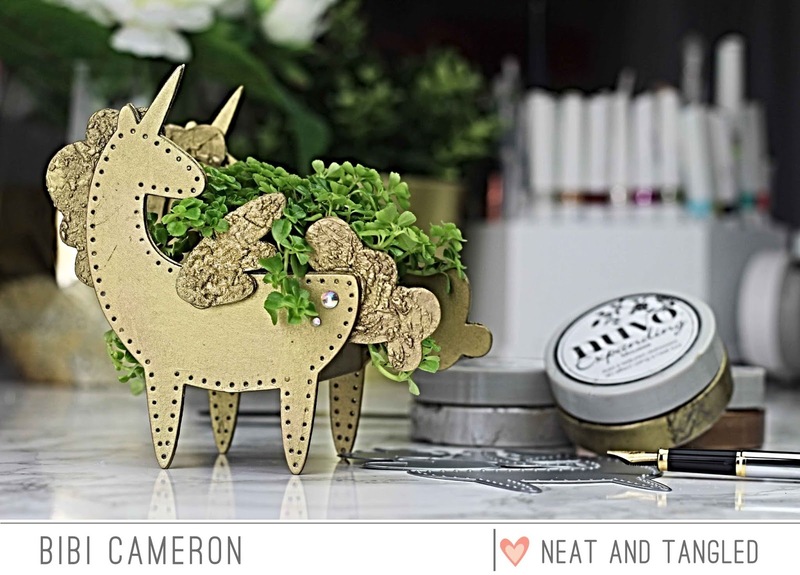 Today I'm sharing a video to show product versatility and extra die cutting ideas. These dies will cut from thin paper to leather and fabric when using them together with a metal shim. 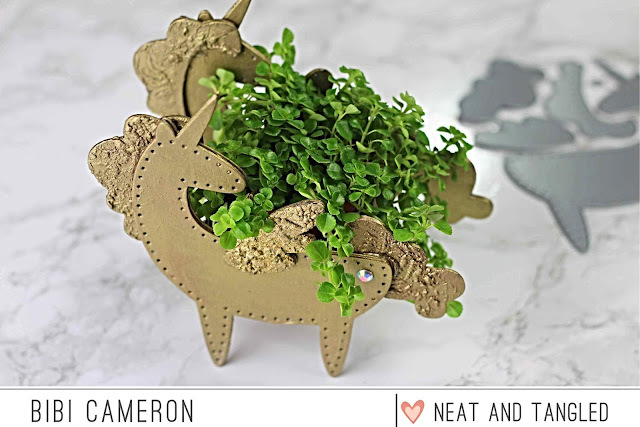 What about making a paper mini plant pot stand? I love golden home decor accessories so I added colour to this project using Nuvo Expanding Mousses. Have you seen these mousses? I seriously didn't want to share any project using the mousses until they are fully released to the global market ... but I'm afraid I filmed this video first and before realising that Tonic Studios completely run out of this products after their release here in the UK a couple of weeks ago. I have been told that Tonic is expecting to have them available next month so consider this as a sneak peek. What is cool about Nuvo Expanding Mousses is that if you apply a thick layer of this product on paper, wood, acetate, glass, metal, and even plastic you can heat it up and it will expand creating a beautiful texture. I won't give away more info about the mousses but stay tuned as this products is awesome. I defo will be sharing a lot more about Nuvo Expanding Mousses when they become available to everyone. 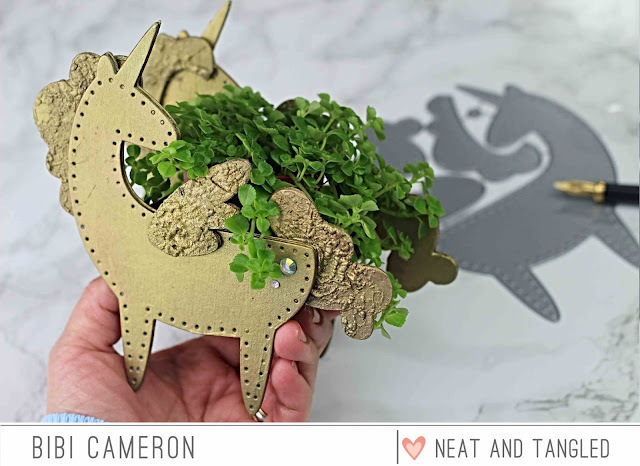 To make this product I recycled cereal boxes and I die cut them using the Stitched Unicorn dies. I layered four die cuts to provide stability to this project. I was surprised as it will hold up quite a lot weight for its size. In the video, I applied a black acrylic paint to cover the glossy side of the cereal box to ease the gold mousse application. Easy !!! 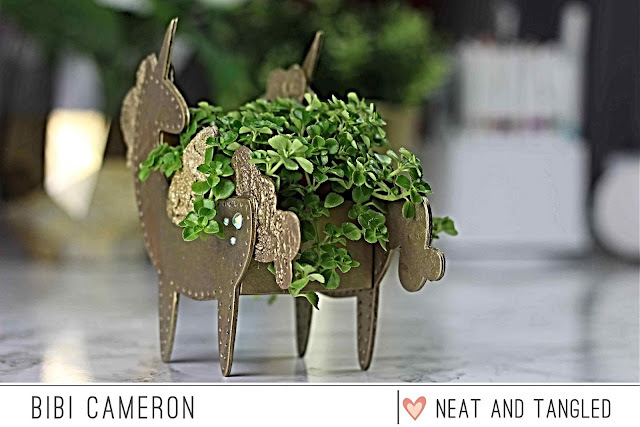 You can also make goodie bags or alter the unicorn shape to make a horse or rocking horses for Christmas projects. This can be done in any colour, you can also use your favourite paints or inks or just designer series paper, cardstock or any other material. That's all for today. I hope you enjoy this project. What a wonderful project! Thank you for sharing. :-) How would you create a bottom for a goody bag to sit on when placed inside the Unicorn?